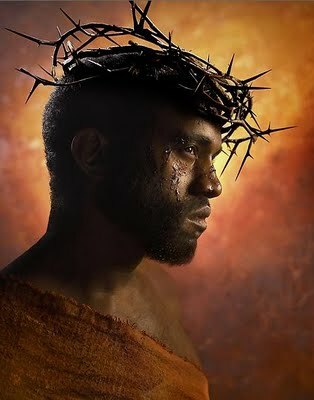 There is one sense in which Kanye West’s latest album, Yeezus, resembles the story of Jesus. Within its tracks, West makes bold claims about his primacy and lineage. And while many critics accepted those claims almost a priori, Yeezus is far less stalwart when examined apart from its celebrity creator. Kanye West is a direct product of the social-media era, where rapid-fire opinions are rooted in a micron’s depth of conviction. If Kanye West were closer to a real person than an invention, it would be easier to give Yeezus the objective review that it, or any other artistic work, deserves. But as we all eventually learn with Kanye West, the cultus always overwhelms the content. I’m not sure how West became the unassailable darling of the critical elite, but ever since Kanye’s debut, The College Dropout, West has reclined comfortably into the cliché of an artist who can do no wrong. Well, at least not until the second week of an album release. But that first week is reserved for an embarrassing level of worship by persons who ostensibly get paid to be critical. As Steven Hyden mentions in his pointed analysis of how warped music criticism has become, Yeezus, scored high marks in Rolling Stone, Spin and the famously curmudgeon-like Pitchfork, where it received a 9.5. The logic for this high praise is multivaried and employs a nearly graduate-school level of deconstruction to safeguard Kanye West’s genius status. Pitchfork describes the sound as “razor-sharpened” and Jody Rosen of Vulture suggests the album’s controversial album title and track “I Am God” are really attempts at Swiftian humor. I am more inclined to believe the South Park hypothesis about Kanye West. The man can hardly take a joke, let alone make one himself. The apologetics of the past month extend well beyond Yeezus. Buzzfeed’s Heben Nigatu begs us, to see Kanye West’s luxury consumerism as an act of vulnerability and suggests we should be proud of West for even attempting to sing, as he did on 808s and Heartbreak. Heben, I think, paints an accurate persona, but it looks less like a genius and more like an oversensitive kid whose accomplishments must be exaggerated in order to protect his self-esteem. It really is a shame that I have to burn five paragraphs on Kanye West the person before I even mention the album, but that’s his own fault. The general consensus is that West’s Yeezus is harsh on the ears, a sonically complicated album that artfully evokes the fear and anxiety of West’s impending fatherhood. But one critic’s complexity is another critic’s mess. In reality, the rhymes on Yeezus are pedestrian non-sequiturs with a smattering of retarded sexuality to fill in the syllables. West also continues to make moderate use of Auto-Tune, a recording crutch that I find unlistenable and indefensible from the standpoint of musical integrity. West still has admirable moments, as on “Black Skinhead” and “New Slaves,” where he flirts with verbal ingenuity, but these moments are obscured by a clutter of recycled engineering gimmicks. The only completely salvageable moment from Yeezus is the Steve Miller Band sample. The truth is that Yeezus, apart from its delusions of grandeur, is a workable record that might be chalked up to useful experimentation. But it is not a great or even good record in itself. What I find interesting is that critics go to so much labor to justify West’s bumbling metaphors and careless misogyny while not extending similar charity to other artists. Tyler, The Creator’s Wolf, which Pitchfork gave a 7.8, is a better album also released this year and he is equally as interesting a character. Yet, nobody is going to the same lengths to twist his uglier themes into matters of social importance. And Illogic & Blockhead’s Capture the Sun, which Pitchfork did not even review, is a better album than both. The problem with Kanye is that he isn’t satisfied merely being a talented MC. He also wants to be a martyr, a victor, a prophet, a pop star, a starving artist, a millionaire, a minimalist, an activist, a rebel, a satirist, and a saint who is simultaneously worshiped and underappreciated. Many believe this is evidence of his complex genius, but it might just be proof that Kanye West is a petulant baby. West thrives because he fits perfectly into an environment of Facebook rants and a musical landscape so cluttered it makes him look good. His odds are much better in a dystopia than a renaissance. The only useful thing I took from Yeezus is an urge to blow the dust off my copy of Fly Like An Eagle.